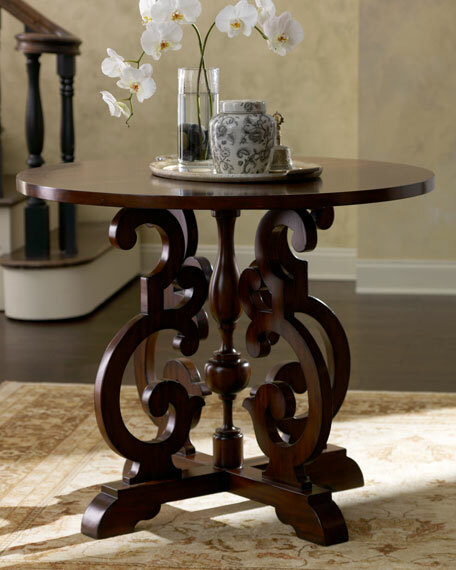 This generously sized entry table makes quite the impression, with its center column of elegantly curved pieces. 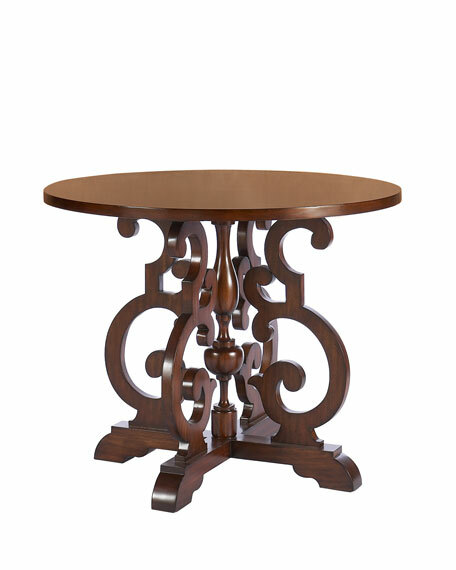 Made of mahogany wood with a mahogany finish. 40"Dia. x 33"T. Imported. Ambella Home Collection was founded by George Moussa in 1995 and is credited with being the first company to design and introduce the "Sink Chest"a traditional wooden chest with a sink mounted to the top and plumbed for a faucet fixture. Ambella carefully selects quality materials used for each handcrafted design, then combines them with the best techniques and quality construction, resulting in pieces that will last a lifetime. Ambella Home Collection continues to be an innovator in not only the sink chest category, but furniture pieces for every room.